Only a Hard Asset Can Be Delivered to Your Home or Bank90% of options expire worthless, and all futures and options contracts have time limits and charge fees every time you make a trade. Gold stocks are dependent upon the company’s management, its particular mine holdings and the whims of the stock market. Precious metals mutual funds are even less liquid and usually not able to be financed. ETFs move with the underlying futures price but like all the rest, are just paper assets and have limited financial power. Precious metals, and particularly bullion, according to some of the world’s most prominent and respected economists like Nobel Laureate, Robert Mundell, should be a part of everyone’s portfolio. At International Bullion Exchange, we strive every day to provide our clients with outstanding service, helping clients from around the world feel more secure by diversifying their investment holdings. 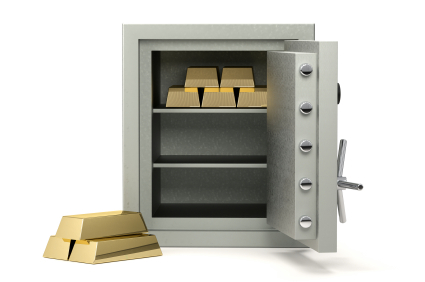 Why You Should Invest in Gold, Silver and Platinum at International Bullion ExchangeYour financed or stored metal is delivered to a Federally regulated US or British vault or depository. You can easily transact business – simply call and direct your Precious Metals Specialist to buy or sell, and receive an immediate confirmation. You will also receive a written confirmation every time you make a precious metals transaction. You will have access to a customary 11-hour trading day, making it convenient to transact business and discuss the market. You can receive prompt and discreet delivery at anytime to your home or bank by simply paying off any outstanding loan balance. You can also choose to leave your precious metals in storage. You can choose to liquidate all or a portion of your investment at any time. Your Orian Program account offers convenience, flexibility and professional account representatives to help both experienced and new investors alike to secure their future and diversify their holdings, by adding gold and silver bullion to their portfolios.